This Advanced Anti-Colic Bottle Really Works! There’s a new anti-colic bottle on the market. And it might just be the solution you’re searching for, especially if your little one struggles with colic. The Tommee Tippee Advanced Anti-Colic Bottle is already winning over mums of babies with colic. Come see how it works. 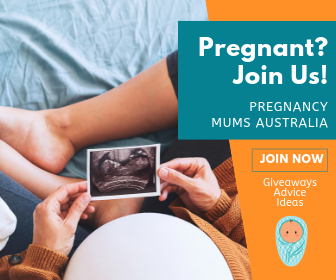 For one in five new babies, the first few months are often filled with frequent screaming, uncontrollable crying and absolute exhaustion. This is because 20% of all new babies experience colic. Baby Beau McSorely (above) was one of them. At two-weeks-old the exclusively breastfed newborn began screaming day and night. His parents, Kylie and Ed, didn’t know what to do. 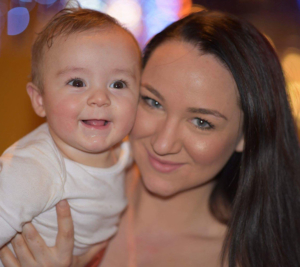 “These screaming episodes would last hours on end with a very short window in between where he would be just too exhausted to cry anymore,” Kylie tells Mum Central. Despite trying a lactose-free formula (upon recommendation from her paediatrician), Beau’s feeding issues and screaming episodes continued. That is, until Kylie discovered the Tommee Tippee Advanced Anti-Colic Bottles. 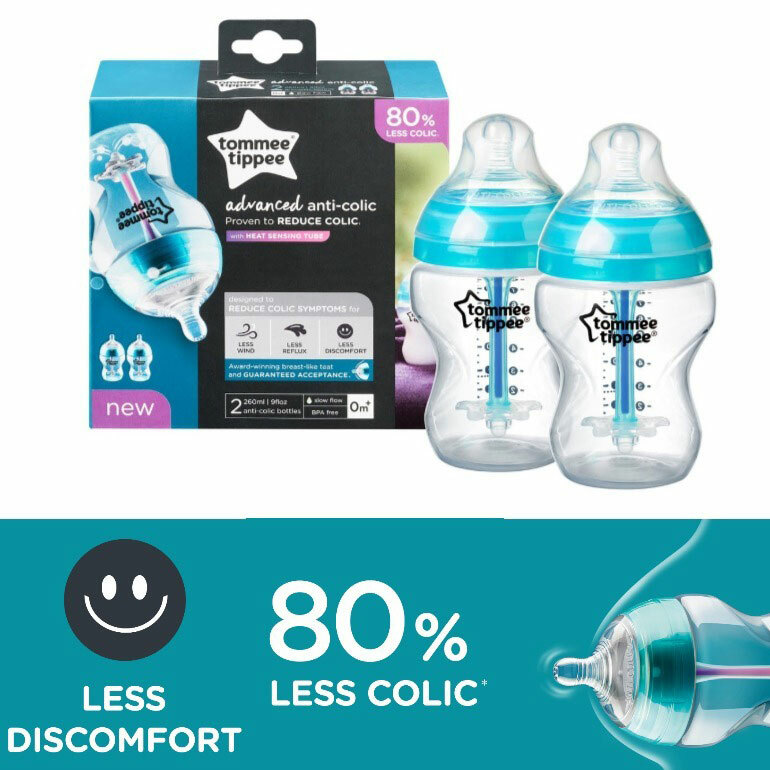 These all new bottles are specially designed to help prevent colic. How? The secret lies in the unique 3-piece anti-colic technology which draws the air away from the milk and the star valve which keeps milk from travelling up the tube. Not only does this reduce air bubbles in the milk, but it also encourages a good latch during feeding. Plus it comes with a built-in heat sensing straw so you know the milk is just the right temperature (especially handy for those late night, half-asleep feeds). Although new to the market, the Tommee Tippee Advanced Anti-Colic Bottles are already making quite the mark on mums, including Kylie. 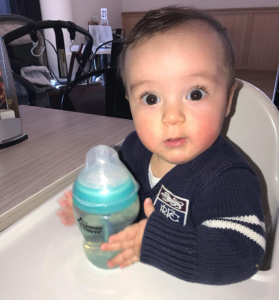 Although not all babies take to the bottle straight away, Beau did, thanks to the Anti-Colic bottles’ breast-like teat. The transition was smooth sailing and Beau is finally beginning to enjoy their feeding sessions. Beau’s temperament has improved. We haven’t had him curled up in a ball screaming in pain because of wind since we started using the new bottles. There are so many anxieties surrounding new motherhood. Having a baby who is suffering with colic can make these anxieties so much worse. 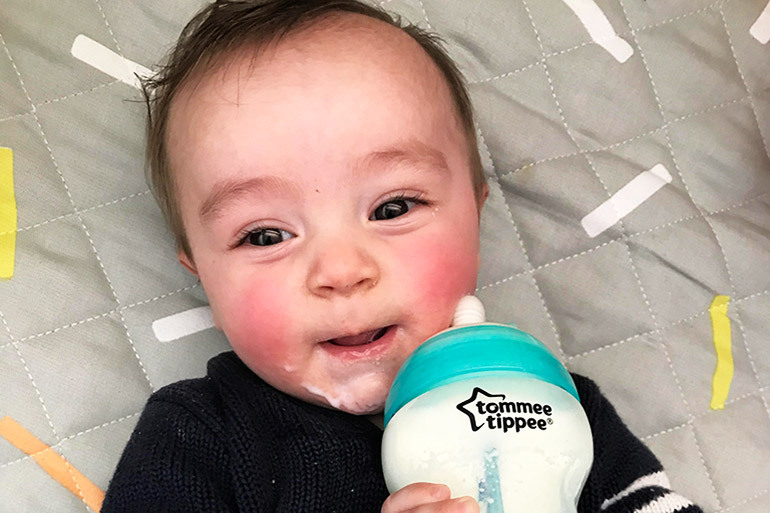 If you are concerned about your little one’s feeding habits, we highly recommend the Tommee Tippee Advanced Anti-Colic Bottle. 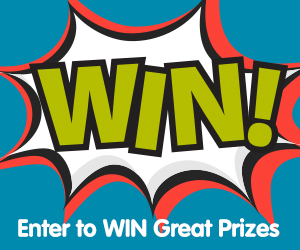 Here’s 10 Chocolate Free Easter Gift Ideas the Whole Family Will Love!